Today is one of those days that has been consumed by chores. Which happens, sometimes, when one moves internationally. I got up this morning at 6:40 to drive Al to work, came back home, and then got back into bed for two hours. Don’t judge me! I had woken up with a sore throat and a headache, this thing on my hand (which I have begun to think of as a puss caterpillar bite) was hurting, and it just seemed like bed was the best option. 1) Purchasing a modem/router and a crappy little corded phone, which for some reason is necessary for wireless internet in ZA – why, I ask you? 2) Getting a set of keys made for Al, finally. Yes, we’ve gone nearly a month with only one set of keys between us. Again, don’t judge us. 3) Buying a few little presents for the little boys of the family we’re staying with for Thanksgiving. This was undeniably the best part of my day. And what does it say about me that when I’m in a toy store, I seriously consider buying things for myself? I had to stop myself from buying a My Little Pony and a Sylvanian family (remember those? they still exist! ), just to have around the house, to play with, I guess. Dogs in plaid pants and suspenders? You look me in the eye and tell me you don’t want these, too. 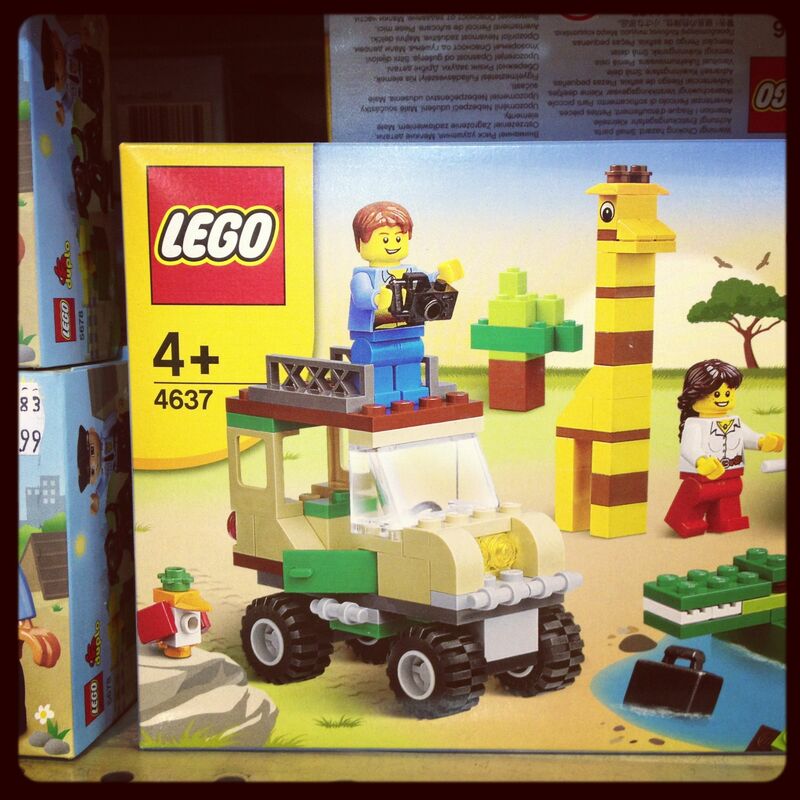 I ended up settling on safari Legos (!) for the six-year-old and an elephant rattle/push toy for the one-year-old. We’re in Africa. These Legos were an inevitable purchase. 4) Hunting down long overdue household items such as a fan, clothes hangers, and storage containers. 5) Buying food so I can make dinner for tonight and tomorrow. 6) Setting up the router/modem and crappy little phone and calling the telephone company to set up wireless internet, which we now have – YES! Triumph! 7) Cleaning our filthy kitchen (yet to be done). 8) Tidying up our ridiculously messy second bedroom and hanging up all the clothes we’ve been strewing around the house since, you know, no hangers (also yet to be done) – seriously, stop judging us. 9) Cooking dinner (yet to be done). So, today is not going to be a big writing day. Although, I did spend an hour crafting a detailed email of restaurants and bars in Sao Paulo that I recommend for my cousin, who’s going there for work for a few weeks. So the day wasn’t a complete waste, right? (By the way, if anyone wants to see this list, let me know, and I’m happy to email it). Okay, back to chorin’ around. See you all on the flipside. This entry was posted in Life, South Africa and tagged chores, Sao Paulo, toys on November 20, 2012 by Stephanie. Sylvanians!!!! I did not know those still existed but knowing they do somehow makes me much happier than I was before knowing that. Now if you could also confirm the continued existence of Playmobile and Weebles my day will be complete! Also, this is my first time posting a comment (clearly I feel more strongly about children’s toys then your health or general well being) but I have been loving the posts on the site! Thanks Becky! 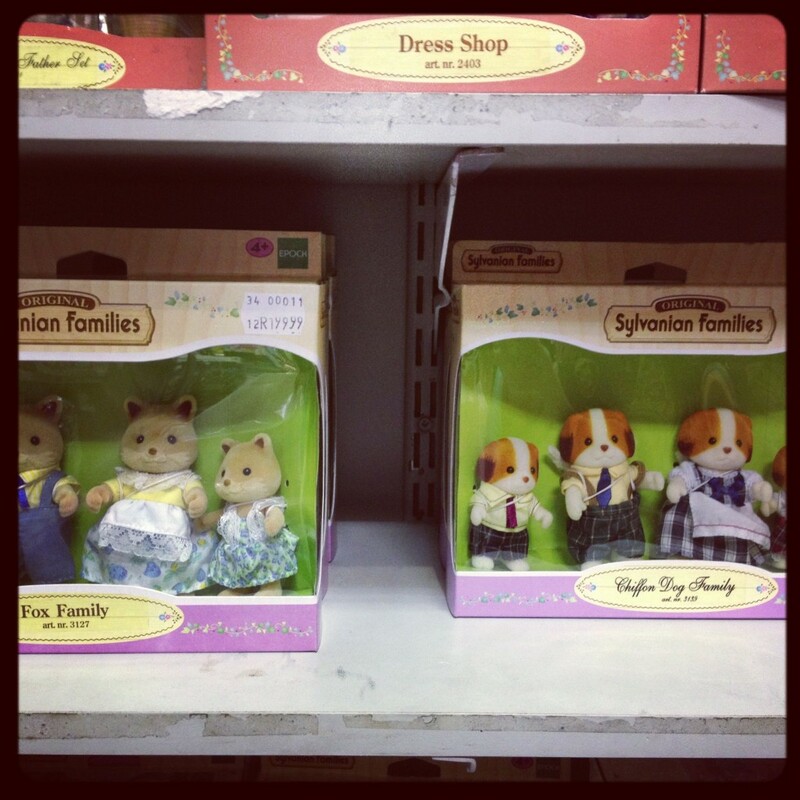 I was so excited to see the Sylvanians in this toy store. When I got home I googled them and spent WAY too much time on the Sylvanian website, which is delightful: http://www.sylvanianfamilies.com/ I am so tempted to buy the koala family!